Periscope is a great communication channel that has emerged in the last 12 months on social media. I’ve seen some churches use it really well. Many haven’t heard of it. In this post I’d like to share how I think it will help you in your leadership and sharing your vision. Before I get started, many make the mistake of thinking that Periscope is another streaming video broadcast tool. Used to its full potential, it is primarily a way for you to relationally and personally reach your social audience with instant feedback or questions. Sound familiar? Yes. It’s just another social channel. Albeit a streaming video channel. Leaders can delegate the delivery of their most important messages to others within the church. Periscope allows for a personal delivery of the message that no other channel has the time or space for. It also allows for a senior leader to personally relate to the larger audience on a one-on-one basis. Very cool. Periscope allows your audience to ask questions. It allows you to clear up any ambiguity in your messaging that a one way 30 second video message doesn’t allow. When promoting your next Christmas, Easter or in fact any large seasonal service you may have going behind the scenes helps draw in potential attendees in a way that other communication can’t focus on. This may also create volunteer interest in the service. Cheering people on who are volunteering is a great way to create buy in to your vision. People love encouraging people and to this day whenever we have a post about celebrating a volunteer it is always very popular. You can do that on Periscope by interviewing a volunteer you are celebrating and wrap up yourself at the end with a call to action to get involved. Whenever churches raise money for new projects such as new buildings or renovations they put a lot of energy and money into developing videos to show what it would look like. Periscope is a great way to show your audience the work-in-progress and talk about the changed lives as the work goes on. Don’t forget to add a call to action at the end. Your senior leaders can also take it with them if they are on location on a project overseas and share the need for help in that country. It is that agile. Church services don’t just happen. Show your congregation how much hard work takes place to make them happen. You can do it by interviewing people what they are doing (and why they love what they do) as they are getting ready for Sunday. This is probably what many churches are mainly using Periscope for. But imagine if you put in a headline and invited the wider world to church? Think about the audience, craft a headline and see how people respond by showing up. I think this is a great way to show the life of a group to prospective people who are looking to join a community group. A group leader or a visitor with Periscope could use it to give a preview to encourage people to step into community. Do you find it hard to share positive stories about what is going on in the life of your church because of time demands on a Sunday? Invite your church via email to come and hear the stories on Periscope. A great bonus is that you will increase your reach as people adopt it. Some of you are saying right now. How will this improve my communications? It will I promise. Prayer is such an important part of all of our spiritual lives that we can’t do without it. You can offer to pray for people (Remember people can type their requests to you). You will also find that there are people watching who are also passionate prayers too. This could be a great time to recruit new volunteers for your prayer ministry. Churches can be perceived as being too serious at times. Sometimes it can be great to actually show the human side to the staff, or congregation. 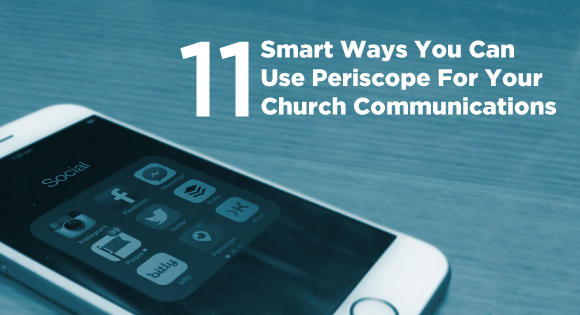 Carey Nieuwhof – 8 ways church leaders can use periscope to Aid your mission. Recap of my last Twitter chat #cmschat where I talked about how Periscope Can Improve Your Church Communications. Periscope is just a communication tool like any other social media channel. The key to success is to engage with your audience at a time when they can tune in. There is no point only doing it when most people are at work and not interacting with those that show up. Got questions about Periscope? Do you have tips you want to share with the community here that will help? Comment below. It would be helpful to have a link to an article explaining how to get the most out of Periscope. 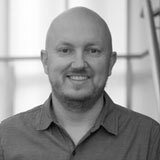 What are needed are the best ways to operate the app and the best ways to build an audience. The people of my church are mostly low-tech folks, with email being the epitome of Internet connectivity. I evaluated and finally rejected Periscope for my church. I’m reading this again in terms of using Facebook Live. Aren’t there music copyright issues involved in broadcasting a church service? I just started creating videos of the sermons for YouTube and our website, but I’m careful to keep the music out of the recordings. There are streaming options under the CCLI licence that would cover you Lane. From a sound quality point of view that is another question…. but it depends on where the live feed comes from. If it is personal I think people can live with less quality like you would experience watching a friends video at a concert. Steve thanks for this post, it is great and I appreciate your perspective on things. I wanted to ask and see what you thought about FB Live. I know that you recently wrote about utilizing it and you actually mentioned this post in that I believe which is how I found this one. What are your thoughts on best practices for FB Live for a church? Also, what are your thoughts on streaming an entire service versus utilizing what some of your key points above? Which I think reflects more of a peek into behind the scenes. Do you think that doing both is beneficial or to stream the entire service which is basically what they get with our church online platform is competing? I would love to get your take. Thanks in advance for your response. Regarding FB Live vs. Periscope, FB Live clearly has the advantage in terms of overall user base, esp since it is built right into Facebook. And Facebook certainly has far more momentum behind it. But I think the question mainly boils down to where your audience is. This is not the only consideration, though. I know many people who refuse to get onto FB for various reasons, including privacy. It seems this would be a plus for Periscope.